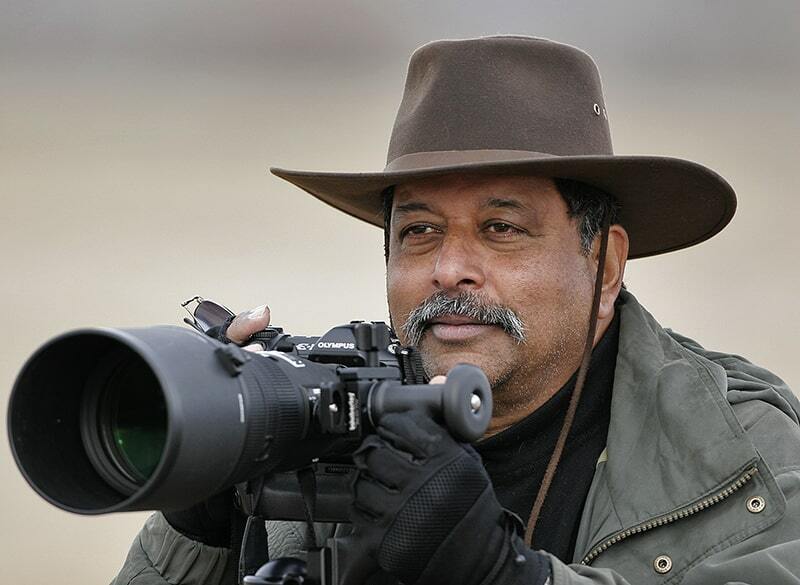 Join John Issac, a photojournalist and a wildlife enthusiast, on an 18 day photography expedition to North India. This carefully crafted journey promises a closer look at India from his perspective and with the right lens. Photographers of all interests and of all levels will have no dearth of photos. One of the many pleasures of your photo journey will be to capture the brilliant clouds of colors that puff up and slowly disappear into the air and the color-stained people dancing for a picture perfect spectacle and an experience parallel to none during the Holi Festival. From thrilling jeep safaris through the tiger reserves to savoring a delicious meal with a local family to boating down the Ganges in Varanasi to visiting the Taj Mahal, this special journey is a great window into a cultural immersion with a great photographer. Your Indian experience will be exciting and enlightening … one that will be etched in your memories and pictures alike. On this trip, John is looking forward to showing visitors some of the wonders of India, including the majestic Taj Mahal and two wildlife sanctuaries. “I will be more than happy to help people with their photography, no matter if a beginner or more advanced. I will always be available to give individual critiques and tips on how to take good photographs.” He will be teaching the group throughout this tour. Throughout his photography career, John has received numerous national and international awards for his work. In 2000, the International Photographic Council named him the recipient of their Lifetime Achievement Award. John has authored many books, the latest of which is called the Vale of Kashmir, where he focused on the daily lives and struggles of the people living there. 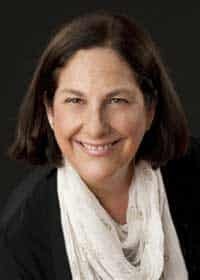 Susan Geringer, owner of Geringer Global Travel, is an experiential and luxury India, Bhutan, Nepal and Sri Lanka travel specialist creating custom itineraries to India and the Subcontinent. Frequently traveling to the area, Susan is able to keep a constant pulse on new properties, hidden gems, and discovering unique experiences that make her clients’ itineraries even more exciting. To understand a foreign culture, Geringer Global Travel feels there is nothing more important than one-on-one interaction with the local people for a chance to join them in their everyday lives. Susan is a member of ASTA, New York City Chapter as well as the New York City Chapter of PATA (Pacific Asian Travel Association). Our representative will meet you in the arrival area of the airport after you clear all immigration and custom formalities. Depart for your hotel where you will check in for your stay. Explore Chandni Chowk, known as the Moonlit Square of India. This will be a photographer’s delight. Witness the architectural marvels, the multicolored facades, beautifully decorated shops, ethnically dressed men and women and be bombarded by the cries of hawkers and fragrances emanating from the potpourri of eateries that line these historical alleys. The Mughal Emperor Shah Jahan (1592-1666) built the walled city of Delhi on the banks of the holy River Yamuna. It had a magnificent palace known as the Red Fort, impressive mansions, enchanting bazaars, elegant shrines, royal gardens and fountains at every corner to romance one’s senses. During the British regime, the street underwent major changes and since then this area has witnessed some of the most important events in Indian history. Today these splendid ruins and tales of valor are a testimony of the evolution of the times. Chandni Chowk truly reflects the national unity, secularism and diversity of India. Lunch is at Chor Bizarre to sample Kashmiri Wazwan cuisine, prepared by one of Delhi’s most experienced chefs. Chor Bizarre is the only Kashmiri Wazwan restaurant outside the Kashmir Valley and has access to the secrets of this particular type of cooking. Afternoon drive through the city viewing the Diplomatic Enclave, government buildings, Central Secretariat, President’s House and Parliament. Visit Humayun’s tomb built by the widow of the second Mughal Emperor, Humayun. It is an outstanding monument in the Indo-Persian style, a precursor of the Taj Mahal. Later visit Qutub Minar, the five-storied tower, with a 14.4meter base that tapers up to two and a half meters at the top and is visible for a long distance around. Dinner is at The Lodi. On arrival at Agra station, you will be met and will visit the massive Agra Fort that was originally started by Emperor Akbar in 1565, but his son, Jahangir, and grandson, Shah Jahan, later made valuable additions to it. It houses the Dewan-e-Khas and Dewan-e-Aam (Halls of Private and Public Audience). Its walls and palaces are a silent witness to the rise and fall of the Imperial Mughal Empire and feature a variety of ingenious Islamic inspired devices (some decorative, some more practical) within the fabric of the buildings. It’s a citadel with marble palaces, ornate alcoves, and terrace pavilions. Post visit, check into the hotel. Lunch will be at the hotel. Late afternoon visit the Taj Mahal until sunset. The filigree screen meant to veil the area around the royal tomb was carved out of single block of marble. The Mughals believed that flowers were the symbols of the divine realm. Thus in the Taj, pietra dura has been extensively used to translate naturalistic forms into decorative patterns that complement the majesty of its architecture. The monument changes with light and presents differently at different times of the day. Dinner is at Peshwari, a specialty restaurant, serving cuisine from the North West Frontier region at the ITC Mughal. The food is cooked in clay ovens or tandoor in the traditional style of the Indian North West Frontier region. This style of cooking requires great expertise on the part of the chefs since the meat is not accompanied by any sauce or gravy but only premarinated and cooked before serving. Morning visit the Taj Mahal by sunrise to see the Taj Mahal in a different light. Post breakfast, checkout and drive to Suroth Mahal (approx. 4 hours) and en-route visit Fatehpur Sikri. Fatehpur Sikri is the deserted red sandstone city built by Emperor Akbar as his capital. Ponder the mysterious desertion of this capital city that was dramatically abandoned a few years after it was built. It was a veritable fairy tale city and its ‘ruins’ are still in a pristine condition. Arrive Suroth Mahal in time for lunch. Suroth Mahal was built as a royal residence 800 Years ago by Maharaja Baldev Singh, when he was the ruler of Suroth – a part of Jaipur Riyasat. The Mahal was designed in an ancient architecture and the interior is furnished with heritage furniture and decors. In the evening participate in pre holi celebrations with the Suroth Mahal Family followed by dance and dinner. The pre Holi celebrations are marked, by people coming together to light a bonfire on the eve of Holi. The ritual is termed as ‘Holika Dahan’. The lighting of bon fire signifies the victory of good over evil when demoness Holika died. As per Hindu scriptures, Prahlad, a young follower of Lord Vishnu was forcefully taken into the burning fire by Holika, the demoness but he escaped while the fire burnt Holika, which proved to be a miracle. This was thus regarded as the triumph of good over evil. For many traditions in Hinduism, Holi celebrates the death of Holika in order to save Prahlad, young follower of Lord Vishnu and thus Holi gets its name. A special puja is also performed near the fire and as the ritual goes people sing and dance around the fire. In the morning join the villagers to participate in the Holi Festival where you will see people meet each other to apply dry and wet colors, play with water and eat sweets together. Here you will notice why Holi is undoubtedly the most fun-filled and boisterous of Hindu festivals. It’s an occasion that brings in unadulterated joy and mirth, fun and play, music and dance, and, of course, lots of bright colors! If you don’t wish to play, you can simply see the festival from the terrace as the Palace is nestled very much in the heart of the village. Later home cooked sweets/snacks will be served. You will also have the opportunity to see how these delicacies are being prepared right in front of you and might join in preparing the same under guided supervision of the resident chef. In the evening ladies can go for Henna painting and men can participate in a turban tying contest. Enjoy a gala dinner followed by small round of fireworks. Post breakfast you will depart by surface for Ranthambhore (approx. 4 hours). 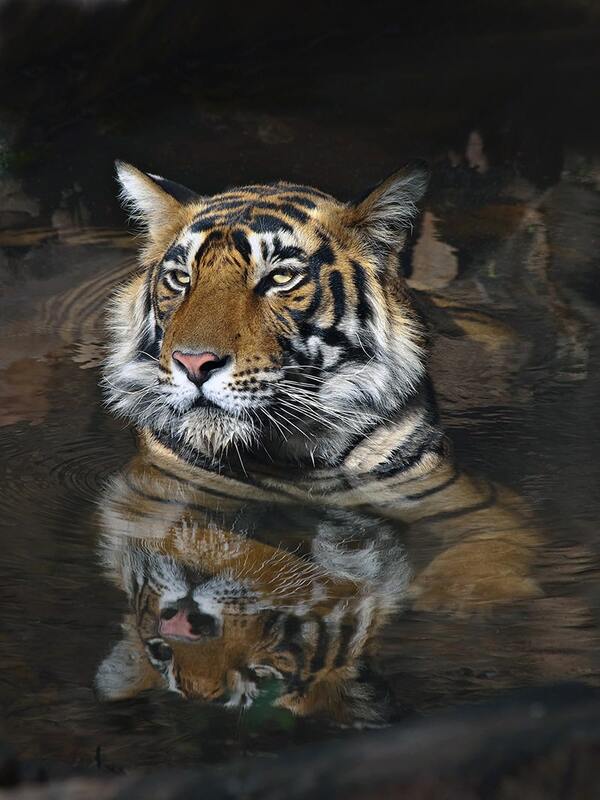 Ranthambhore is considered by many to be one of India’s most beautiful national parks. Encircled by a series of high escarpments, the forests, lakes and dry scrub that make up the park are dotted with old forts and temples, creating a wonderful atmosphere for both bird and mammal viewing amongst a landscape oozing with ancient Rajput history and Rajasthani culture. Ranthambhore is perhaps most famous for being one of the original ‘Project Tiger’ reserves and it still affords one of the best opportunities anywhere in India of seeing a tiger. With the recent escalation in poaching right across the sub-continent, there has been a worrying decline in both numbers and sightings of this magnificent animal. Today tiger sightings in the park are on the increase and even though the animal itself is still under serious threat, you will have a good chance of finding one. On each of your game drives you will be accompanied by local guides whose expert knowledge of the park is invaluable when tracking down some of the more elusive species. Post lunch proceed for afternoon game drive. Whether or not you see tiger on this holiday, you cannot fail to be impressed by the sheer variety and number of other mammals and birds that make the park their home. Common Langurs are abundant, as are both Spotted (Chital) and Sambar Deer; the latter often feed so far out into the lakes that only their heads show above the water. Nilgai (the largest of India’s antelopes) are also fairly common and Barking Deer do occur, although are somewhat harder to find. For the very fortunate there is also a chance of tracking down a Sloth Bear or perhaps a Chinkara Antelope. Mugger Crocodiles are common in the lakes and Monitor Lizards are frequently seen around their shores. In addition to the mammals and reptiles, we will also see a wonderful diversity of birds. Flocks of Peafowl are on almost constant show; whilst on the lakes Cotton Pygmy Geese, Bronze-winged and Pheasant-tailed Jacanas are common. The surrounding woodland and grasslands hold such species as Black-rumped Flameback Woodpeckers, Tickell’s Blue Flycatcher, Rufous-tailed Finch Lark (an Indian endemic), Painted Spurfowl, Jungle Bush Quail, Small Minivet and Stork-billed Kingfisher. In addition there is also the opportunity to find up to five species of Owl including Brown Fish Owl, Dusky Eagle Owl and Collared Scops Owl. From the lodge you will be able to take morning and afternoon drives into the reserve in search of its many mammals and birds. In between these there is plenty of opportunity for walking and bird watching around the lodge. The surrounding deciduous woodland holds a variety of birds including Rufous Treepie and Yellow-fronted Pied Woodpecker. In between visit the Dastkar Ranthambore, which is an initiative of Dastkar and Ranthambore Foundation to resettle communities in the Sawai Madhopur area of Rajasthan, who had lost access to wood, water, and farming lands due to the creation of Ranthambore National Park. The Ranthambore Foundation approached Dastkar in late 1980s to initiate income generation activities particularly among women in the area. The organization now works with over 300 women artisans in the villages around Ranthambore Tiger Reserve. Dastkar’s distinctive Tiger motif and use of trees, birds and animal imagery demonstrates the communities concern for the natural environment and in particular, the endangered Tiger species found in the area. Dastkar also has an effluent treatment plant on campus that treats pollutants discharged from the dyeing and printing activities. Enjoy an early morning game drive. Post breakfast depart by surface for Jaipur (approx. 4 hours), take a small detour to see an amazing step well at Abhaneri. Abhaneri is a village about 95 kms from Jaipur on the Jaipur-Agra Road. A detour is well merited for its amazing stepwell or ‘baoris’ and Harshat Mata Temple. According to a legend, the village is so called because the Goddess Harshat Mata, who is portrayed in a joyous mood and is believed to spread brightness or “abha” all around. The village’s original name was Abha Nagri and its present name is Abhaneri. It is believed that the celebrated king Raja Chand established the village. On the other hand mythological Raja Chand could be King Bhoja, who ruled over the Gujar kingdom in the ninth century AD. The ruins of the temple also speak of the 10th century architectural and sculptural styles. There is a huge tank named “Chand Baori”, opposite to the temple fortified on all four sides with bastions for defense. Post visit continue your drive to Jaipur. Jaipur is popularly known as the Pink City, thanks to the color of the buildings in the city. The city built in 1727 A.D by Maharaja Sawai Jai Singh II followed a grid system, which made it the only planned city of its time. A young Bengali architect Vidhyadhar Bhattacharya designed the city in accordance with Shilp Shastra – an ancient Hindu treatise on architecture. On arrival at Jaipur, check into the hotel. Lunch is at the hotel. Suvarna Mahal once was the Maharaja’s royal banquet hall and the big dining room is still mesmerizing and grand with Italian Renaissance styled Florentine ceiling paintings and mirrors, tapestry covered walls and gold plated silverware. Live classical and semi classical music plays in the background and the four alabaster lamps gleaming in the four corners of the dining hall set the mood in a true royal fashion. In the morning start your tour by visiting the magnificent Amber Fort. It was once the ancient capital of the Rajput Empire. From the road you can climb up to the fort in approximately 10 minutes but a jeep or elephant ride will spare you the trouble of walking up to the fortress. Once on the top, you will stroll with your guide through the sprawling complex of courtyards and halls. Many of the rooms have delightful wall paintings with precious stones and mirrors inlaid in the walls. Enjoy lunch at the charming Samode Haveli. An urban oasis in the historic walled city of Jaipur, Samode Haveli is a traditional Indian mansion set in a verdant garden with apartments arranged around a series of intimate courtyards. Visit the City Palace which houses a museum containing rare manuscripts, paintings and an armory. Then, continue on to the Royal Observatory (Jantar Mantar) built in the 17th century by Jai Singh, a famous astronomer. The observatory has a 900-foot-high sundial. The Central museum founded in 1876 has a large collection of antiques. Drive past the Hawa Mahal also known as the “Palace of Winds”. Hawa Mahal built in a unique design is the landmark of Jaipur and was used by the ladies of the court to watch the daily goings on in the street below. The pink sandstone carvings are extremely intricate and it is a great place to take pictures. Dinner is at the hotel. Rajput architecture, magnificence and sumptuousness pervade Cinnamon restaurant at your hotel, which was the dining room of the Prime Minister of Jaipur State. A gourmet theater, this fine dining restaurant serves cuisine from the four Indian Princely States—Rajputana, Awadh, Hyderabad and Kashmir. On arrival at Varanasi, you will be met and transferred to the hotel. Post breakfast visit some of the other important sites in the city with your guide. Dotted with temples, the city’s principle shrine is the Vishwanath temple, dedicated to Shiva. The temple was destroyed repeatedly during various invasions but was finally rebuilt in 1776 A.D. by Rani Ahilyabai of Indore. Visit the famous Banaras Hindu University that was established in 1916 and the objective was to achieve the national awakening by spreading education all over the country. At present it is the largest residential university in Asia with large number of students from over 34 nations. Later visit Sarnath. After attaining enlightenment at Bodh Gaya the Buddha went to Sarnath. It was here that he preached his first discourse in the deer park to set in motion the ‘Wheel of the Dharma’. The museum at Sarnath contains carvings representing a whole range of styles: archaic, the Mathura School, Gupta, past Gupta and Medieval covering work of sculptors from the 3rd century B.C. to the 12th century A.D.
Late afternoon you will be met by an expert for the guided Bengali Tola walk where you will have an opportunity to get a glimpse of the symbiotic life of the riverside people of Varanasi. Eventually, as you tour through the city you will end up on Bengali Tola, the street of the Bengalis, where you will be visiting the hidden Mother Goddess Kali shrines, and the vistas of life along the riverside. The tour continues to the historic ritual bathing site called Dashaswamedh, or the ten-horse sacrifice Ghat, the perfect way to conclude this walking city tour. From here witness the illuminated aarti, which is performed at Dasahwamedh Ghat. The presiding priests stand on a wooden Chauki in the water. To the chant of Sanskrit mantras, and the clash of cymbals and drums, the river is worshipped with flowers, incense, sandalwood, milk and vermilion. First the blazing camphor lamp and then the many flamed aarti lamps are raised high and then arched back to the water, the dark river reflecting the golden flames as Ganges accepts the worship. It is the Ganges that gives Varanasi its spiritual resonance. In the morning take a boat ride on the river Ganges to view the sunrise. Enjoy classical music on the boat during the ride. Varanasi’s unique culture is associated with the river Ganges where life and death intermingle. The living flock the ghats to pray with the belief that bathing in the waters of the sacred river will result in the remission of their sins while the ashes of the dead are scattered in the water to break the cycle of reincarnation and let the soul rise to enlightenment. On arrival at Khajuraho airport, you will be met and transferred to the hotel. Lunch is at the hotel. Late afternoon proceed to explore a local village where you will gain an insight into the traditional ways of farming, culture, lifestyle of the people. You will have an opportunity to visit the traditional huts of members of different communities and a chance to interact with them and even try the local snacks being cooked by them. Enjoy bundeli horse dance performance as well. View variety of wildlife that is abundant in the region and spotting various species of local and migratory birds that makes it a photographer’s paradise. Morning visit the famous Western Group of Temples with your guide. The name Khajuraho is derived from the Hindi word khajur meaning date palm.The city was once the religious capital of the Chandela Rajputs, a Hindu dynasty that ruled this part of India from the 10th to the 12th centuries. The Khajuraho temples were built over a span of a hundred years, from 950 to 1050. The whole area was enclosed by a wall with eight gates, each flanked by two golden palm trees. There were originally over 80 Hindu temples, of which only 22 now stand in a reasonable state of preservation, scattered over an area of about 8 square miles (21 km²). The temples of Khajuraho are an example of religion laced with erotica. They are fine examples of Indian architectural styles that have gained popularity due to their salacious depiction of the traditional way of life during medieval times. They were rediscovered only during the 20th century and the jungles had taken a toll on some of the monuments. Early morning and afternoon proceed for game drives. Bandhavgarh National Park, situated amid the airy Vindhya hills of Madhya Pradesh, has established a reputation as one of the best places in India to observe tigers. Although a relatively small reserve when first established in 1968, it was enlarged twenty years later to include adjacent tracts of Sal forest and this extension has proved very beneficial for the tiger population. The 105 square kilometers of park area, open for tourists is estimated to have a population of 22 tigers, a density of one tiger for every 4.77 square kilometer. Like many tiger reserves in India, the area was formerly the hunting reserve of a Maharaja and contains much evidence of its royal associations, most spectacular being the ruins of a huge hilltop fort that dominates the centre of the reserve. The Sal Forest that predominates in the park is replaced by mixed forests at the higher elevations in the hills. There are also expanses of grassland and bamboo in the north. The core of the reserve is hilly and dominated by the ancient natural fort that towers to an impressive 800 meters above the forest. Long since deserted it is now overgrown but worth a steep climb for the breathtaking view from the ramparts, and to see the ancient rock carvings in the vicinity. In this arid region water is always attractive to wildlife and the presence of pools and streams in the reserve is one of the reasons it is so favoured by both game and predators. Only one metalled road crosses the reserve but there is a network of smaller tracks that facilitate entry to the forest. Many of your excursions will be in jeeps but you may also use riding elephants in the morning (The elephant ride depends only on the successful tracking of the tiger by the mahouts and cannot be guaranteed) to take you off the beaten track deep into the habitat of these wild creatures. The movements of the resident tigers are well known to the mahouts and they will rely on their intimate knowledge of the terrain to locate our quarry. Tigers are elusive creatures, quick to vanish into cover but a huge paw print in the dust or the alarm cries of deer and langurs often betray their presence when the animal is hidden from sight. On such occasions silence and patience may be rewarded by that unforgettable moment as the king of the forest saunters into view and with scarcely a glance at the human intruders, walks in a deliberate manner across the track to disappear again into the undergrowth. The pattern of early morning and afternoon excursions will be interspersed with periods of relaxation back at your lodge. Although tigers are the star attraction at Bandhavgarh the supporting cast of mammals and birds is very impressive. Today morning and afternoon game drives. In between you can take part in the various activities being offered by the lodge like nature walks. Time permitting visit the nearby villages inhabited by people of the Gond tribe, small farmers, and laborers surround the park. The Gond tribals being forest dwellers hold great respect for the forest and its fauna, many of which are worshipped. Domestic livestock such as cattle, buffaloes and goats owned by these people frequent the areas adjacent to the Tiger Reserve, many a times falling prey to the wild carnivores of the region. A visit to these villages will help to gain an insight to their local customs and traditions. Today morning and afternoon game drives. In between you can take part in the various activities being offered by the lodge like nature walks, bird watching or visiting the nearby tribal areas. Post breakfast by 0900 hours you will be transferred to Jabalpur airport (approx. 4 hours). Stop for lunch at Narmada Jackson hotel, before being transferred to the airport. On arrival at Delhi airport, you will met and transferred to the airport hotel. Rooms are blocked until final departure for home. Late evening farewell dinner will be arranged at The Great Kebab factory at Radisson hotel near the airport. This restaurant showcases six different styles of vegetarian and meat kababs. The iconic Great Kabab Factory promises a unique dining experience. Guests relish an array of unlimited succulent kababs that are created from recipes that are hundreds of years old. Late night assisted departure transfer to the International airport to board flight for onward destination. Stay on full board basis during the entire tour. Entrance fees at all monuments listed in the itinerary for one visit only, road taxes, parking fee, fuel charges, interstate taxes, and porter age during all airport transfers. Train Travel from Delhi to Agra in Executive chair car. Holi celebrations at Suroth Mahal. Proper costumes will be provided for playing Holi. 7 Exclusive jeep safaris in Bandhavgarh. Visit to Tribal Villages in Bandhavgarh. Morning and evening Taj visit in Agra. Bengali Tola walk in Varanasi.